About image of the Day @wisdomsdoor.com, NIAKOD: The formula of NIAKOD pronounced nee-kay-oh-dah is for protection. You can liken it to a very short prayer. It specifically protects you from dark energy attacks and things of evil or destructive intent toward you. The formula’s traditional use was for protection when the Adepts were crossing the Abyss (ZAX) to reach the plane of spirit. However I have found this formula excellent for everyday use as well. Let’s face it, today, sometimes crossing the street can seem like a trip across the Abyss. 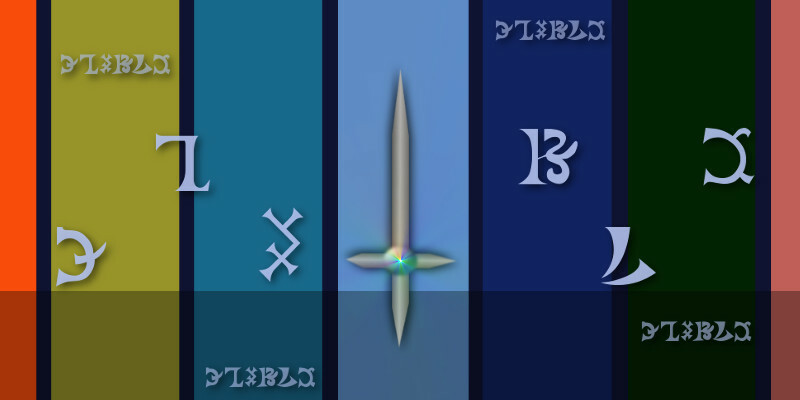 The word NIAKOD is Enochian and translates to "A sword for the Cursed!" You can say the formula aloud or to yourself when you feel you need extra protection or are in fear. It will help surround your aura with white protective light to keep out the most darkest of energies. I often use this formula in combination with a talisman to help improve its ability to protect. You can find a generic NIAKOD protection talisman that I created here for your personal use.